Hey guys, my wife and I are finalizing our itinerary for a twenty-two night trip in Europe and we wanted to get some feedback and thoughts. Our MUST do's are: Salzburg, Interlaken, Alsace region, Bayeux, and Paris. The rest are negotiable. We are trying to minimize drive time as much as possible, however, we also realize the driving is necessary and that some routes will be enjoyable. We wanted a mix of popular tourism spots since we've never been to any of these places and off the beaten path villages that allow us to get on foot, explore, and feel(and eat) like a local. This will likely be the longest trip we ever take and will be the last without little ones so we are feeling the pressure to plan it right. Transportation: We will be picking up a car in Munich and driving through Colmar. At Colmar we will drop our car across the border in Germany and take a train to Paris. In Paris we will pick up another car for the drive to Bayeux. The car will be dropped back off outside Paris. We will take a train into Paris. Thank y'all so much in advance for helping us plan this pre-baby trip. EDIT (9/5/18): Our itinerary has been updated slightly since the original post. We have decided to swap the three nights scheduled for Lucerne for an extra night in Paris and a night in Hallstatt. The post shows us staying in Hallstatt two nights in the post, but that third night is still up in the air. Thoughts? Hallstatt is located right by Salzburg. I can skip Vienna or Salzburg but I can't skip Hallstatt. I’ve seen that picture a handful of times since we’ve started planning our trip and every time I do a double take. Salzburg is a must-do for my wife because of the Sound of Music tours, but that is it. My wife and I have done multiple 21 day trips to europe and looking at your itinerary, my first thought is that is a lot of moving around. We have done the 2 or 3 nights in each place and it starts to be a grind after 10 days or so. We now prefer to do a minimum of 4 nights in each place with maybe one place for 1 or 2 nights. And we also will stay for 5-7 days in one larger city and do some day trips from there. We are worried that it is to much too. The trip was originally a Switzerland-Alsace region-Bayeux-Paris trip. Staying in Switzerland for eight days and each location in France 4-5 days check. We fell in love with Austria and southern Germany when we started doing research on Switzerland. We have considered taking out the Alsace portion of the trip and spreading those days out in Austria and southern Germany. Thoughts? With the way the intinerary is shaping up, I know the practical answer is to do Paris and and Normandy on another trip, but my wife has planned on going to Paris for months now and won’t consider not going. I’ve struggled with eliminating Alsace just because I hate for Paris-Normandy to be all that we see and do in France. What time will you arrive in Paris & then drive to MSM? It’s 4.5 hours, and the initial part of getting out of Paris is the most challenging (traffic/navigation). So think about how rested/alert you will be, and what time you will end up at MSM. I agree with dropping Alsace....I’d expand the Normandy section of your trip to include the edge of Brittany—instead of just going directly to MSM, stop for the night in Rouen, go all the way to St. Malo as well, and maybe add Cancale (oysters, eaten at the harbor, is def fun). Normandy also offers Monet’s gardens at Giverny, the hilltop fortress at Les Andelys (very near Giverny), and a slew of other options. Or expand to the northwest a bit and see Etretat (gorgeous sea cliffs) and Honfleur. If you’re going to Austria/Germany, then German-inflected Alsace is similar.. Nothing set in stone, but tentatively looking at getting to Paris 1:00 PM if we left from Alsace. We haven’t considered anything in Normandy outside of Bayeux and MSM. We will definitely give the towns you listed a look. Alsace is looking less and less appealing the more research we do just based on travel time. Maybe consider taking the train from Paris to Rouen for an afternoon/night, then picking up a rental car there. You could drive from Rouen to Etretat ( see pics here: LINK ), then head west toward Honfleur and visit the swath of eastern D-Day beaches on the way to Bayeux. Spend a few days in Bayeux, do some more D-Day beaches tourism, then keep going southwest to MSM. Decide whether MSM is going to be just a day trip, or an overnight to see it after the tourist hordes leave & if you want to see the tides change. Keep going to Cancale for oysters, then go to St. Malo. You could return the rental car in St. Malo & take the train back to Paris (3 hrs)....or if you wanted to see more of the area, return the car in Caen or go all the way back to Rouen to return car & then train to Paris. I had a really lovely time in Normandy last fall; I picked up a car @ CDG, drove to Giverny/LesAndelys, then on to Bayeau & area over a week or so, returning the car to the airport. Hence my advice to take the train to Rouen, spend a night, pick up car & proceed...and to return car out of Paris. I would highly suggest consolidating just a bit. I adore Colmar, but unless you are visiting a bunch of wineries and want to stay there for that, then maybe just a day trip via Paris? I would prefer to have a place to stay in Interlaken, a nice relaxing place with a view, and then just drive/train to Lucerne. Or the exact opposite! Same with Bayeaux. Unless you plan for hanging about with not much to do. And I always suggest staying longer in Paris. It truly is a city you need a lifetime for. You can always use it as a base of operations. I assumed that the time in Bayeux would be spent visiting the extensive WWII sites of the region, easily accessible by car. There are plenty of historic sites to fill up a couple of days, or more for the history enthusiast. Yeah I would agree that's a lot of small to medium sized towns for 3-4 days. There's always plenty to do, but there won't be a ton to do. It will be a lot of very relaxed walks because you have plenty of time. I would recommend staying one place that has multiple side trip options for 5-6 nights in the middle of your stay. Cut some of the other places down 1 night. That way you have a long break to rest and not pack and un pack. The worst part easily is for my wife to pack and unpack. Takes her a good 2 hours each and she is not really settled until she does so. I just live out of my carry on and shaving kit. I would also not recommend Paris as your only big city at the end. Big cities like Paris tend to wear me down, just dealing with the sensory overload and so much going on. I much prefer the big city first, and then the small towns after to settle down and relax. People unpack? I have never unloaded a suitcase in my entire life while traveling. I remove clean stuff, have a pile of dirty stuff that gets either rewashed and repacked, or repacked in the appropriate pocket for dirty stuff. Less stuff, fewer choices, freer and happier vacation. Munich is worth spending some time in. My wife loves the markets, River Isen, Augustiner, etc. 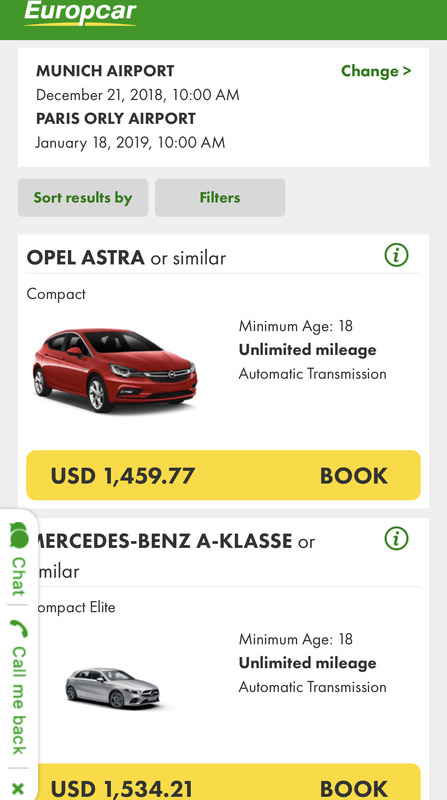 Have you figured out your rental car situation OP? Returning them in another country is very expensive. I don't see you returning anywhere. So that's something to consider. Thank you all for the replies, was not expecting this many when I got home from work. I'll try to reply to everyone individually. Hungry - thanks again for the additional info on Normandy. Right now we have a full day Overlord tour planned for Bayeux and I am expecting a second day full of WWII sites in the area. I am a big WWII buff and this portion of the trip is the highlight for me. LoneStar - This thread is pushing us to consolidate even more. We are heavily leaning towards taking out the Alsace portion of the trip and spreading those days out in the other cities. We may get to Paris and regret not staying longer. We are not "big city" people and we both think after three nights we'll be more than ready to go home, but Paris being Paris we might be way wrong. Do you have any other recommendations in Switzerland if not Interlaken and Lucerne? Also do you have any recs for adrenaline activities ie. bungee jumping, paragliding, etc.? We are looking to do something like that while in Switzerland. Fat Harry - Duly noted, we have not done much to any research on Munich. Will give it a good look, especially if we decide to take out Alsace. Baldona - As the plan stands now, we are renting a car in Munich and will not be taking the car back until we get to Alsace where will hop over to Germany to drop it off in Offenberg. I am way to cheap to pay the return fee if out of country. Like I said in the above post, we are leaning towards taking out Alsace. Using the itinerary above, how would y'all spread the days we are not using in Alsace throughout the rest of the trip? In particular Bavaria. We just took a trip like this last summer but in reverse. Started in London, then Mont St. Michel/Bayeaux, Paris, Colmar, Black Forest, Bavaria (Fussen), Munich, then Rome. Things I would have done differently. I would have just made a stop in Colmar/Strasbourg. We stayed a night, and it really could have been done on a pass by. The high speed train from Strasbourg into Paris is nice. We stayed 4 nights in Fussen, at an incredible Air bnb with vies of both castles. That being said, I would have done two nights. We spent a lot of time in Reutte and the surrounding areas. We went up to Zugspitze from the Austrian side and it was really cool. Hit the Roldabahns, they can be a ton of fun. My family still has the scars from them. We rented a car in Offenburg as well. Took a local train from Salzbourg there and dropped in Munich when we flew to Rome. So I would do the reverse and train to Paris from Salzbourg. Remember, Sundays are waste days. Nothing is open, so make sure it is either a travel day or an outside type day. We only spent one night in Bayeaux and wish it would have been longer. I didn't have enough time to see everything. We spent 4 nights in Paris, and could have spent a week. It is an amazing city. We stayed in two different spots, and the second spot closer to the old city was more walkable and nicer. We skipped Switzerland because expense and travel, but if you are driving there and then dropping back in Germany it won't be a problem. Remember to get a sticker when you goto Austria or Switzerland for your car. They are 10-15 euros and you can grab them at a gas station. An underrated spot we went to was the Black Forest area. Just a really neat spot. A bunch of small towns, easily drivable. We spent two nights there and it was well worth it. We stayed at an Air bnb and the grandfather still handmade clock faces for cuckoo clocks, which was really, really cool. Have a lot more info. You guys look to be doing a very similar route but subbing Switzerland in for London and Rome. We did that for flight purposes and because my son's bucket list was going to the Colloseum. o you have any other recommendations in Switzerland if not Interlaken and Lucerne? Also do you have any recs for adrenaline activities ie. bungee jumping, paragliding, etc.? We are looking to do something like that while in Switzerland. 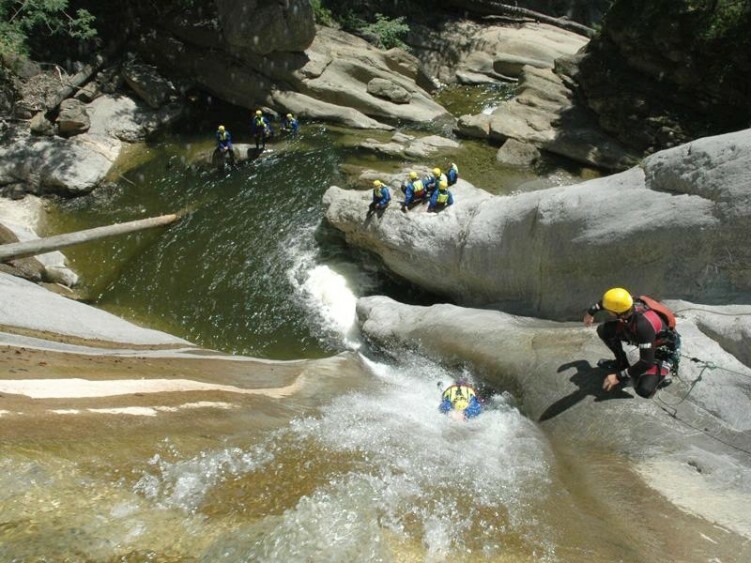 Check out Canyoning. One of the coolest things I've ever done, my wife and I did it in the Italian Alps. You start at the top of a high mountain gorge and work your way down the rocky clear water creek. You take the natural rock slides down and cliff jump into the pools of crystal clear water. You Abseil (rope down) any big drops. I've NEVER abseiled, and we started with a 10ft then did a 30 ft and finished with a 120ft. One of the scariest things I've ever done, but cool as shite. The 120 Abseil into a pool of water was insane. The highest jump was 30ft. There were 8 of us and every HAD to abseil but the jumps had ways around. My wife's friend from Nashville that married a German guy recommended it, and both of them were like this is something you could never do in the USA due to liability. Have you figured out your rental car situation OP? Returning them in another country is very expensive. A C Class MB is $1,800 for 4 weeks and an E Class is $2,100. For comparison, so $250ish bucks more than returning it in Munich. For a 3 week rental that isn't bad. But when you rent it for 7 days for $400 the extra $300 is not cheap.